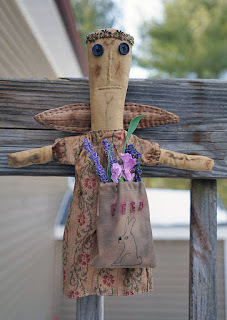 Woolensails: The Ugly Angel: Free Pattern! Cute angel, Debbie. I hope you don't get as much snow from your storm as we did from ours - it left us with more snow than we'd had all winter - sheesh! Nice adaptation for your doll Debbie. It looked very cold on the video you posted yesterday. Hope this next storm doesn't dump too much in your area. Oh, Debbie, I LOVE your angel and thank you for the pattern!! I really would like to give her a try!! I LOVE HER!! You do prim so well, Debbie!! 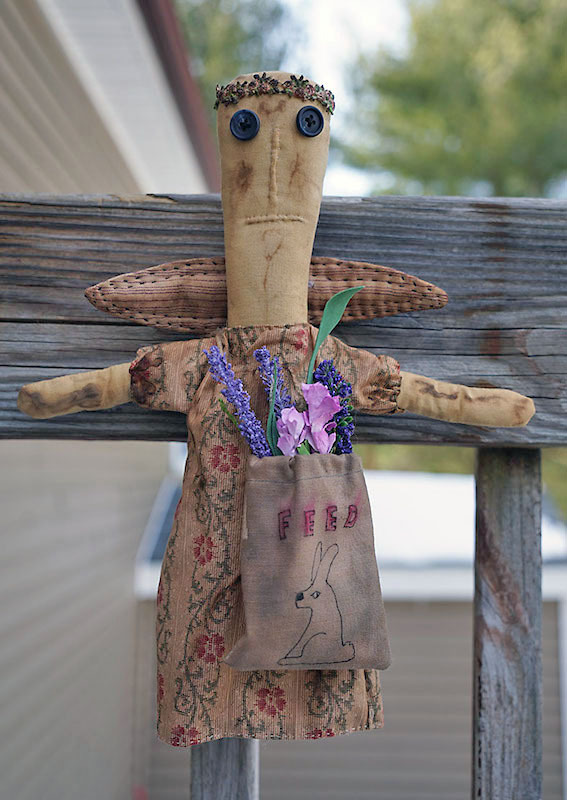 I used to make a lot of dolls - more artsy fartsy type, got burnt out on it. I hope your storm totals stay in the one digit range, stay warm! Yeah I remember the collection of tea or coffee stain coming up in blobs with a right around them. Had to do the same as you. Oh my goodness. That's very cute. Happy the storm passed you by! Lovely angel! You are always busy about travelling and completing projects! How wonderful for you to get out and enjoy exploring various places. Thank you for taking the time to share! Cheers!